The clash this afternoon between IPOB members and Hausas in Oyigbo area of Rivers State has caused governor Ikpeazu of Abia state to declare a 3-day curfew in Aba, as soldiers invade the city. 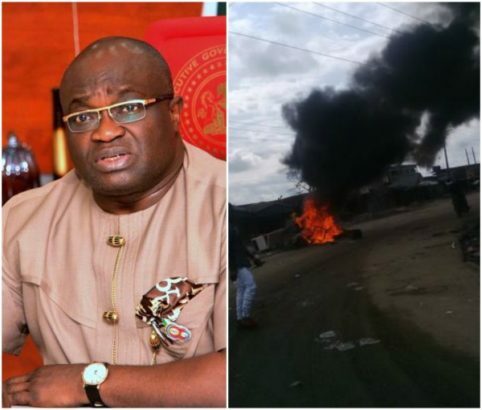 Abia, are advised to remain law abiding and carry on their lawful business without fear, as efforts by Government will be made to reduce friction between the civil populace and military personnel in the State. Persons residing within the State are strongly advised to remain law abiding, while going about their lawful business without fear of molestation, and, not engage in any form of confrontation with military personnel or other security agents. Persons residing within the State are strongly advised to remain law abiding, while going about their lawful business without fear of molestation, and, not engage in any form of confrontation with military personnel or other security agents.